Defringe settings of the RwaTherapee. Under the color tab there is a separate part called "Black-and-White". 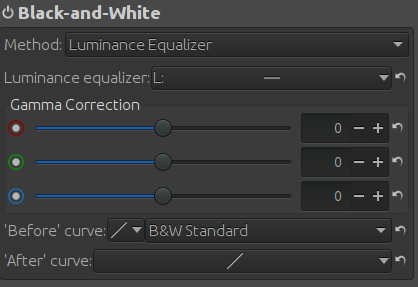 There are three different methods you can try for transforming the picture, but i prefer the default and edit the luminance and lighting later from the first tab. You can find the explanation of the different options here. Black and white settings of RawTherapee. By using the two tone curves in the first tab, you can introduce more contrast and adjust the lightness of the picture. You have to keep an eye in the histogram to avoid any over exposure of the picture. The final curve usually is a sigma (S) shaped line with modification to add or remove light for the picture. Each picture is different, so select what you like most. 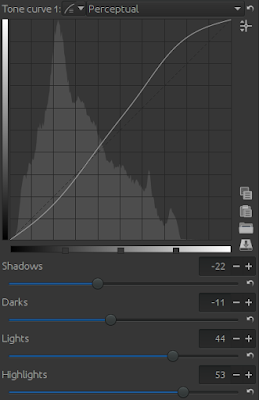 Tone curve of RawTherapee that introduces more contrast. If you notice, the picture is more exposed at the top, making the lighting of picture imbalanced. 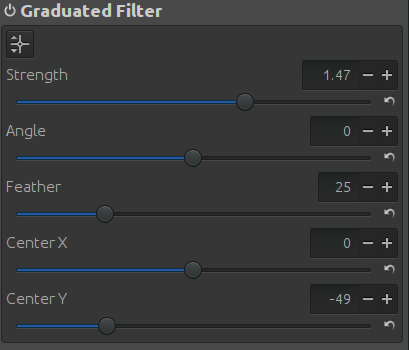 To fix this we introduce a graduated filter. 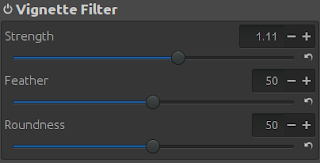 After applying the filter, the picture should be more balanced and it will be easier for us to apply the next filters. 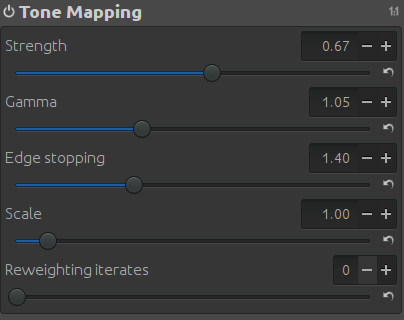 The next step is to apply tone mapping to improve the dynamic range of the picture. You can play with the strength of the filter, but remember not to over shoot it. High levels of tone mapping can make the picture really look unnatural. 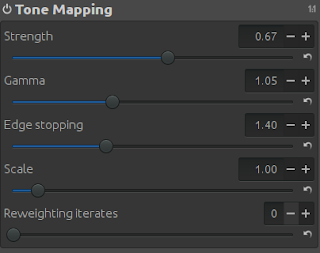 In addition, the latest version of RawTherapee has also the HDR tone mapping that you can play. I played a bit with the Lab settings to improve the contrast of the picture even more. I didn't want to modify the tone curves in previous steps, so i decided to play with the Lab setting to introduce more contrast in a part of the histogram using the "L" curve. Not required, but i liked the final result. Vignette filter is a filter used in many cases to pop the picture by decreasing gradually the light from the corners to the center. Because our picture is already in good shape, we have to only add a touch of the filter. Again, avoid overshooting there, i have seen pictures destroyed from the heave vignetting. 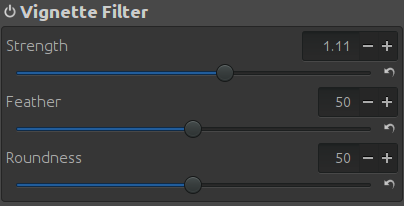 The increase of the contrast and the tone mapping strengths the noise that there is in the picture, or worse inserts artificial noise. Applying slightly noise reduction can really improve the image quality. 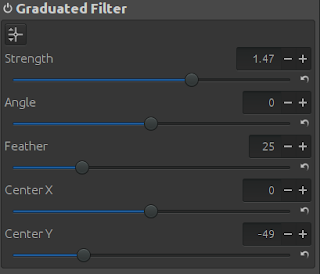 I usually apply the impulse noise reduction with threshold less than 55. The filter can easy remove useful information and decrease the overall aesthetic of the picture. 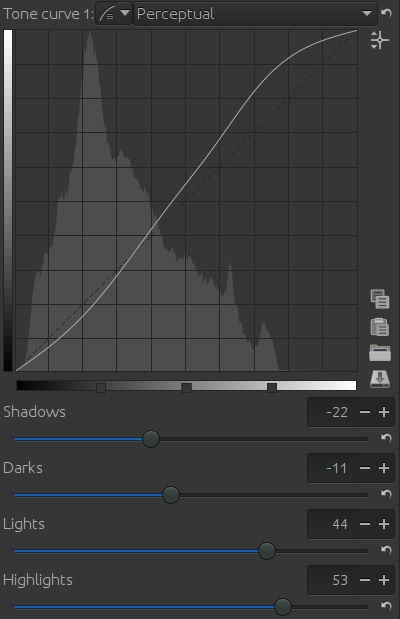 In the final step, you should go again through the tone curve and other filters to ensure that everything are in place and tune the filters to achieve the most pleasing aesthetic result. Each human is different, so you each one of us can like slightly different settings of the picture. Experiment yourself and you will achieve what it pleases you! You can download the files used for this tutorial the NEF file (~23 MB) here and the pp3 file here.